58V 4.0Ah 18" Brushless Lawn Mower Kit is rated 5.0 out of 5 by 1. Rated 5 out of 5 by Nick Name from best mower I ever owned bought it a month ago as petrol one didn't like to start . sceptical at first but love it , don't even need one battery for 150m2 of lawn , charging time is acceptable too . like the energy saving function if grass is shorter in areas and mow twice a week since purchased compared to once a fortnight before . The 58V Blower 4.0Ah Kit is yours via redemption when you buy an 58V 4.0Ah 18" Brushless Lawn Mower Kit. The dual battery ports accommodate two packs for double the run-time. 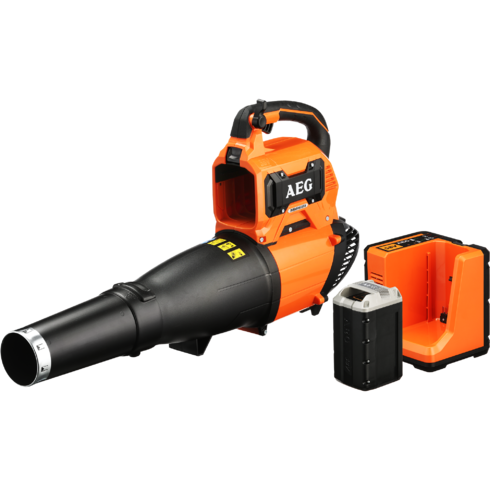 The unit features a 50 litre soft catcher, mulch plug, and side-throw, for added versatility.